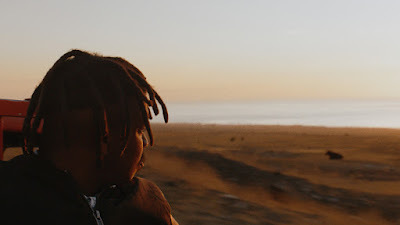 A fiction film based on directors João Miller Guerra and Filipa Reis previous film, a documentary about a young man returning to Cape Verde to reconnect with his long lost father. The trip does not go as planned as the the man, sometimes called Djon Africa gets side tracked by the things he finds along the way. Solid character study picks you up and carries you along with it's story of a drifter trying to find his lost past and forge a new future of maturity. To be certain it rambles about but it never really loses focus or interest. This isn't so much about really finding a lost father but a lost searcher. Possibly the least arty of the films I've seen at New Directors this year this is the one film that I would most likely return to for no real reason other than I had a good time watching it. Say what you will about NDNF, the films can some times work to hard to make you feel and think but DJON AFRICA makes it look so easy and simple that you really can't believe that there is anything more going on than a good time with interesting people. One of the best films at NDNF it is heartily recommended.